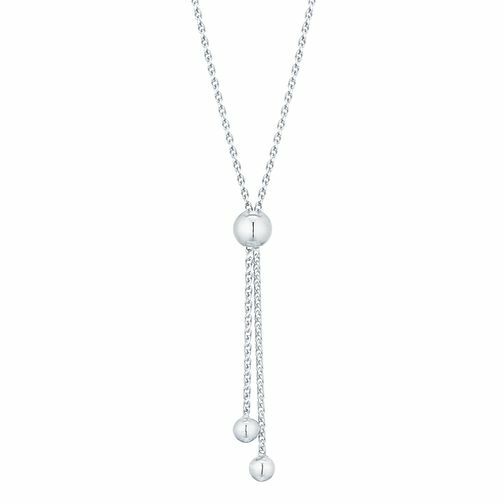 Unique and sophisticated, this beautiful 9ct white gold necklace is a charming addition to any outfit, taking you from day to night effortlessly. Features an adjustable fastening. 9ct White Gold Adjustable Ball Necklet is rated 4.0 out of 5 by 1. Rated 4 out of 5 by Anonymous from This item is great for special occasions or everyday use Very pretty necklace . Something different l love it . Like the fact it can be worn at different lengths .